ABS by Allen Schwartz. ABS is an affordable luxury lifestyle brand that caters to the contemporary woman who is always ahead of the trend. They create clothing for women who love fashion, from work to evening as well as black tie events. The full collection of evening and day dresses along with evening separates are all produced locally in Los Angeles with the highest quality of fabric, attention to detail and luxury design. 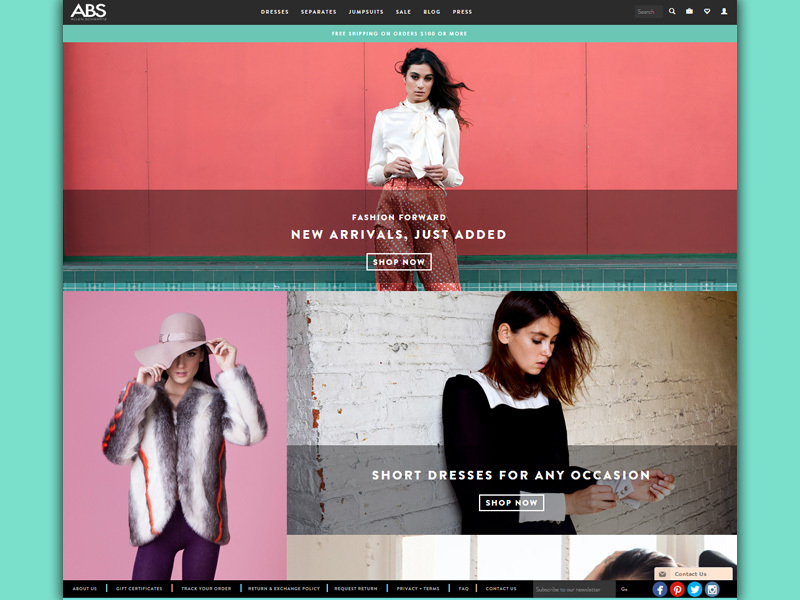 They wanted a website that displays the contemporary style, with an emphasis on photography to properly display their fine clothing lines details. The site also required e-commerce integration for the sale of their items directly on their site, and Magento was selected for this purpose.